ARP Instruments' founder Alan R. Pearlman has died at the age of 93. Pearlman founded the company in 1969 and through the 70s established it as a highly respected outlet for pioneering instruments revered for their sound quality. The ARP Odyssey and ARP 2600 instruments were particularly popular, and for a time ARP was the world’s leading electronic music instruments manufacturer. Many legendary artists used ARP instruments in their music, including Kraftwerk, David Bowie, Brian Eno and Stevie Wonder. And despite the company closing in 1981 after hitting financial difficulties following high development costs and low sales of the ARP Avatar, its instruments are still favoured among contemporary dance music producers such as Floating Points and Todd Terje. 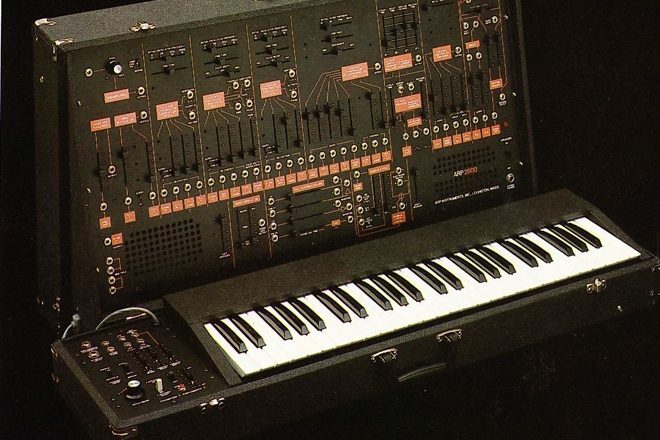 In 2015, Korg reissued the ARP Odyssey. Pearlman was born in 1925 and also served in the military after World War II, and later spent five years designing amplifiers for NASA. He attended the Worcester Polytechnic Institute and in 1978 was presented with the Robert H. Goddard Alumni Award for outstanding professional achievement. Check our gallery of 10 of ARP’s finest synths here. Watch Stevie Wonder playing his ARP 2600 for David Frost below.